The above thread details my progress and theory behind this potential CPU upgrade. 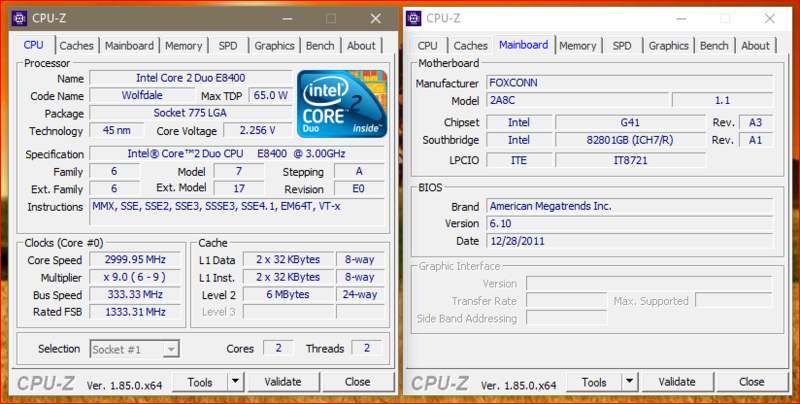 I have confirmed the G41 chipset is compatible with this CPU. I have also tested the rig with the QX6850 installed and what I get is: the system posts and then an incompatibility warning. The system then powers down. This leads me to believe the CPU itself is compatible on a *hardware level* and we merely have a *software level - blacklist* issue relative to the BIOS. I was thinking it would be really cool to get this CPU running in the aforementioned rig and I am reaching out for help and support and hopefully this will take me in the right direction. I know there will be naysayers. But this build is just for the fun of it. I have plenty of other systems I use as my daily drivers. I will be using ThrottleStop and speedstep to mitigate the extra heat so I'm doing everything that can be done to reduce TDP and heat. I have a decent low profile cooler. Any suggestions or advice is greatly appreciated. I would like to keep this positive and it's already been re-hashed in the other thread, I know I will be pushing the system into the red zone. But I also am an overclocker at heart and I enjoy pushing the envelope. I truly believe this can be done, and that's why I'm here. Show a photo of the screen with "incompatibility warning". (08-12-2018, 11:55 PM)DeathBringer Wrote: [ -> ] Post screenshots of first (CPU) & third (Mainboard) tabs of CPU-Z with supported CPU. Here is the first request (first and third tabs of CPUz): Thanks for your quick response! -It's going to take me a couple hours to get around to installing the QX6850 again to fulfill the second request. I'll keep you updated. Can you make TXT report of CPU-Z with your QX6850 on other system? I also have compiled the TXT Report but unsure how to attach to this thread... should I just quote everything for you? Press Preview Post, Zip report & attach . EDIT: I uploaded in word format... let me know if that works out for you. (08-14-2018, 04:25 AM)DeathBringer Wrote: [ -> ] Try to flash my mod. And it gave me an error erasing block one. 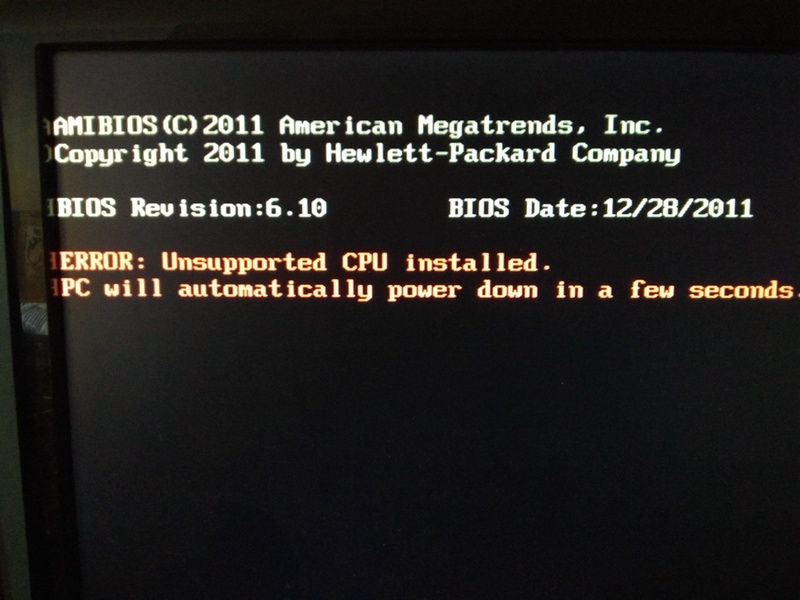 I am thinking that the BIOS may be locked from the factory as there was never any BIOS update available for download at any point from the HP website.